Can Baby think like a coder to fix her train? 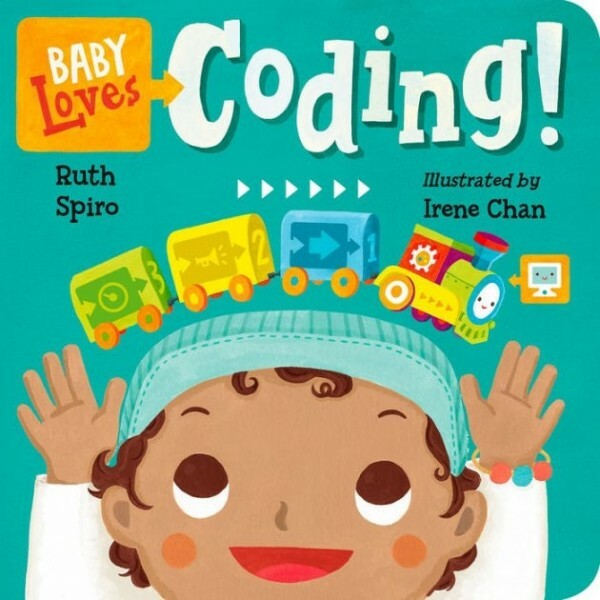 As a precursor to learning programming languages and syntax, Baby Loves Coding presents the concepts of sequencing, problem solving, cause and effect, and thinking step-by-step. Practicing these skills early creates a solid foundation for reading, writing, math and eventually, programming. Beautiful, visually stimulating illustrations complement age-appropriate language to encourage baby's sense of wonder. Parents and caregivers may learn a thing or two, as well! The goal of the Baby Loves Science books is to introduce STEM topics in a developmentally appropriate way. Accurate enough to satisfy an expert, yet simple enough for baby, this clever board book showcases the use of logic, sequence, and patterns to solve problems. It's full of big, brainy science for the littlest listeners!